This Hoover Cordless Vacuum Cleaner is an ultra-lightweight stick vacuum cleaner, weighing just 2.2kg it is effortless to use all over your house. 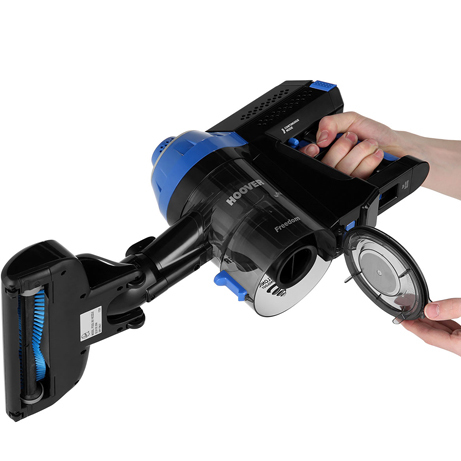 The continuous power mode is ideal for larger vacuuming tasks there’s no risk of aching fingers from holding the trigger. 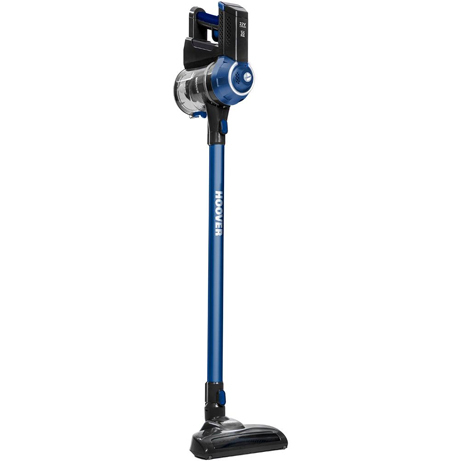 With a run-time of up to 20 minutes, This Hoover Freedom cleaner releases you from the restraints of cables. 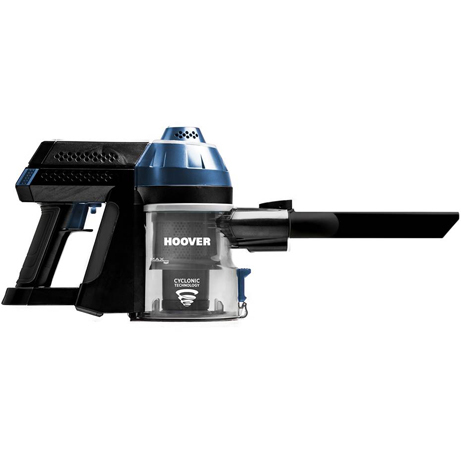 This Freedom Vacuum Cleaner from Hoover offers convenient cordless cleaning throughout your home, with its powerful 22v lithium performance battery. 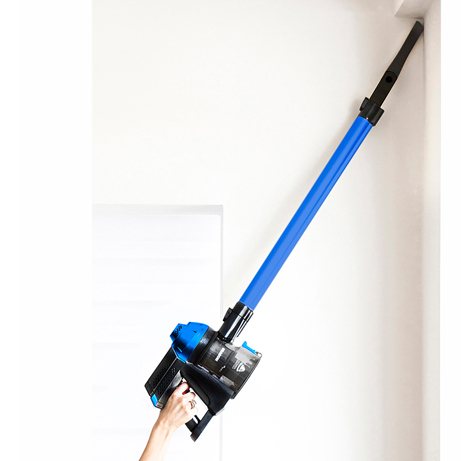 The rotating brush roll works wonders on your carpets and hard floors, whilst the handheld feature helps you to clean tricky spots around your home and even inside the car. Features include an easy empty bin, continuous power mode and a battery indicator light. 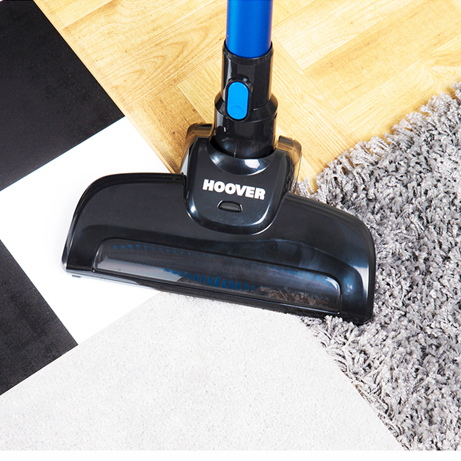 Cleaning your floors beautifully thanks to its motorised brush roll that rotates at a high speed to separate the carpet fibres, helping to loosen dirt and debris for a deeper more thorough clean. In a simple motion, this vacuum can also converts to a handheld appliance giving ease to vacuuming in your car, or around your home. A crevice tool is included to tackle all sorts of jobs, such as vacuuming dust up from skirting boards. There’s no need to tire your fingers by constantly pressing the trigger, as freedom has a switch to activate the continuous power mode. Once fully charged it has a great run time of up to 20 minutes. With a charging plug included, simply plug the cord into the top of the handheld.